As a commercial production company, we love to take on challenges, especially when it comes to international fashion commercial clients. We were approached by Zelda Andreoli of Brand Consulting Agency Zelda Zelda to work with Golab Agency and creative director Ced stefan pakusevskij of FullScream to be the on the ground production company for the new Napapijri SS19 Fashion Commercial stills and video campaign. 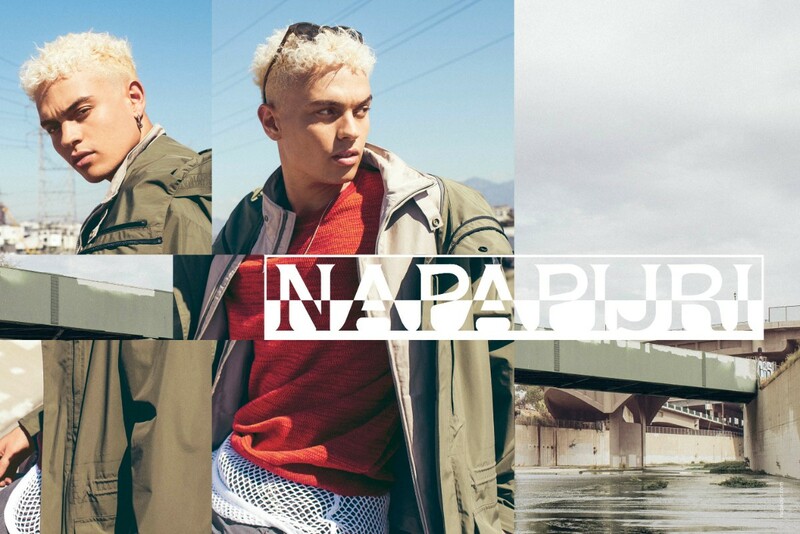 The new campaign for Napapijri produced by our fashion commercial production company in Los Angeles entitled “Future-Positive”, is the new Spring/Summer 2019 campaign by Napapijri. The Milan based brand has an inclusive approach in this campaign, expressed through the casting of globally diverse and emotionally expressive models. The story artfully mixes adventure, friendship, and romance following the cast as they initiate a new member to the Napapijri Tribe. This fashion commercial campaign will be a part of the launch of Napapijri’s SS19 Collection, which envisions an unlimited future where different ethnic and diverse inspirations come together to form a collage of aesthetic influences: from Moroccan tapestries to workers’ uniforms, all the way to 1980s’ preppy Miami. Our fashion commercial production spanned 2 days with locations all over Los Angeles from the LA River to The Hollywood Hills to Malibu. With a cast of young models from several agencies, the logistical challenges were often present but handled by the on the ground team of producers and stellar crew. Eli Arenson was our DP and he chose to use Panavision as our camera vendor for the project. We were also supported by our aerial collaborators Drone Dudes as we captured some incredible shots from both the air and on the ground. We hope to work with this international team in the near future as it was a stellar experience the first time around!